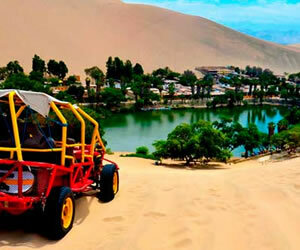 We offer special prices for you to have a great time with all yours in Peru. Cusco – Perus Best Open-Top Sightseeing Tour from Cusco to Puno Join the most innovative and entertaining open-top sightseeing bus tour from Cusco to Puno or from Puno to Cusco, with guaranteed live commentary all year round. The Route of the Sun But what is it? Well, most tourists from all over the world come to Cusco Peru because of Machu Picchu and miss a great chance to learn more about our pre-Inca cultures; they miss the opportunity to get from Cusco to Puno and visit other magnificent tourist sites. 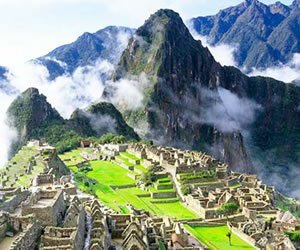 Without any doubt, the Route of the Sun is a great complement for your tours in Peru. 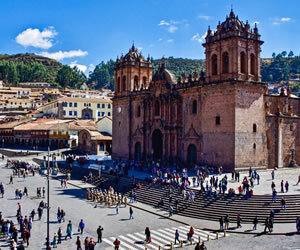 Come and go on an unforgettable experience visiting the beautiful Churches, great archaeological sites, that of Raqchi (the Temple of the Sun), great pre-Inca museums and have a delicious lunch along the way from Cusco to Puno. Between 7:30 are to 8am you will be picked up from your hotel. Travel and after 2 hours by motor boat and then you will arrive at the Uros Island. Fishermen and hunters inhabit the floating islands of the Uros. The residents of the Uros use the cattail, a type of rush, which grows in the lake, to create the conditions that ensure the islands stay afloat. The dense roots that the plants develop support the island. The roofs are waterproof and the houses are extremely humid because of the surrounding water…Continue traveling in our boat, we will get the next island called Amantani, just arriving there will be first contact with local's families, they bring you up to the homes, there you get your accommodation for one night in basic typical room between the agriculture fields. The local family will supply yours all foods. After lunch the entire group together walk up to highest point of island, called Pachatata temple 4200m. Is the best place to get pictures from all surround views of this blue sacred lake of the Incas…After the explanation of your tour guide, back to the homes to get your dinner and then you can go to enjoy typical dances with the local music players. Overnight in local family home. At 8am after enjoyed the delicious family breakfast meet the entire group and travel by boat to the Taquile island, 3 hours crossing the lake you will arrive at the last place to visit. Visit and explanation about the live, culture, typical costume and every common activity at the main square, short treks around the island including lunch in the co-operative restaurant, there is also a co-operative shop on the plaza that sells exceptional woollen goods which are not cheap but of very fine quality. Taquile Island is famous for its craft production, particularly for its beautiful textiles. The island is narrow only about 1 KM wide, but 6 to 7 Km. 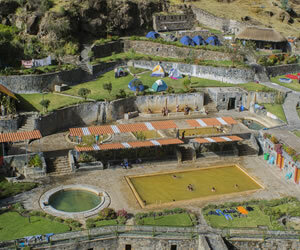 long, on Taquile there are numerous pre-Inca and Inca ruins and Inca terracing…Afternoon between 4 or 5pm you will return to Puno and transfer back to your Hotel Qelqatani. After your delicious breakfast , pick up and transfer to the bus therminal to leave at 8:00 am / Arrives to Cusco around 2:30pm , upon your arrival pick up and transfer back to your Hotel in Cusco. 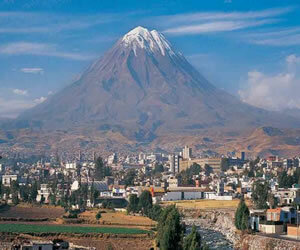 VIP Bus Cusco – Puno, Including everything.